Many of the iphone users are having a query of how to add playlist to iphone, the latest iphone’s designed by the apple have made a lot of changes in order to provide a great experience to the users they have also changed how to add playlist to iphone. This new interface of adding playlists to ipod and iphone will be a bit typical to know. A mobile definitely needs a audio functionality that can be emerged with the playlists. So it is much important to add playlist to iphone. 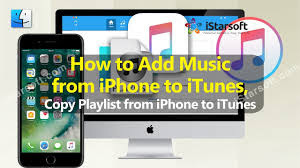 Here are the simple methods to show how to add playlist to ipod and iphones. You can copy playlist from itunes to iphone using any one the methods provided below. Here you can use different methods like with synchronizing and without synchronizing. That us you can sync your device with the itunes and then add the music. 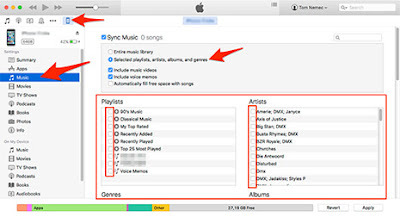 Below is the complete guide for how to add playlist to iphone and ipad in this you can use itunes 11 and itunes 12 as your wish. You can check completely for more information. Want to know about how to add playlist to iphone and ipad, then check the below steps. First connect your device to the computer or pc. Now a window opens in that go to the upper left corner where you can see the device icon. Select the icon for your device. Go to the music option on the left side. Select “sync Music” by ticking the box. Go to playlists section and check the playlists you want to sync with your device. Now your playlist will be synchronized. Here are the steps for how to add playlist to itunes 12, you can do it by connecting your device to pc. First step is to connect your device to PC or Computer. Once you connect your device, a window opens and there you can see your device is connected. Below the device you will get all the playlists that are present on your pc. 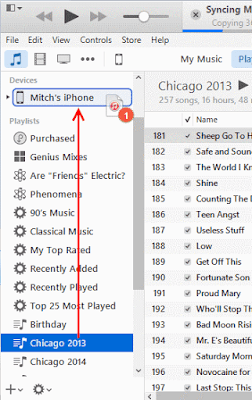 In order to select a particular playlist, you need to drag and drop the required playlists on to your device. Once you drag and drop the necessary playlists all will be synchronized to your device. Thats it. Now a button will appear on the upper right portion of the screen, click on it. Click on the ADD TO Button that is provided below. Now select the playlists on the screen. Drag the playlists from the left side to the right side. Finally Select sync option.With this you will also know how to sync playlist to iphone. 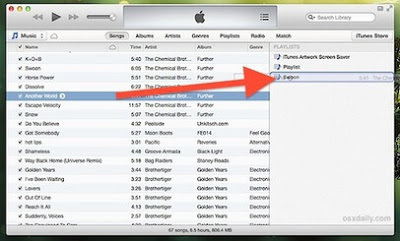 After making the playlist in itunes and sync them with your iphone, also you can create playlists on your iphone. Go to bottom on screen and click on playlists icon. Tap on the second item in the list and add playlist. Select a name for your playlist and click on add. To add the songs click on “+” button. Finally click on Done that is in the tap right corner. Finally we have provided a guide for how to add playlist to iphone and also how to sync itunes playlist to iphone. You can visit Gud Tech Tricks for more information. In case if you have a query regarding this you can comment in the below section. If your have any error with the iphone you can contact them.